Four months ago today, I qualified for the 2018 Boston Marathon at the Philadelphia Marathon by finishing in 3:46:13 (personal record). Four weeks from today, Leah & I run the 2017 Boston Marathon together. Leah is a time qualifier and I am a charity runner with the Dana-Farber Marathon Challenge. 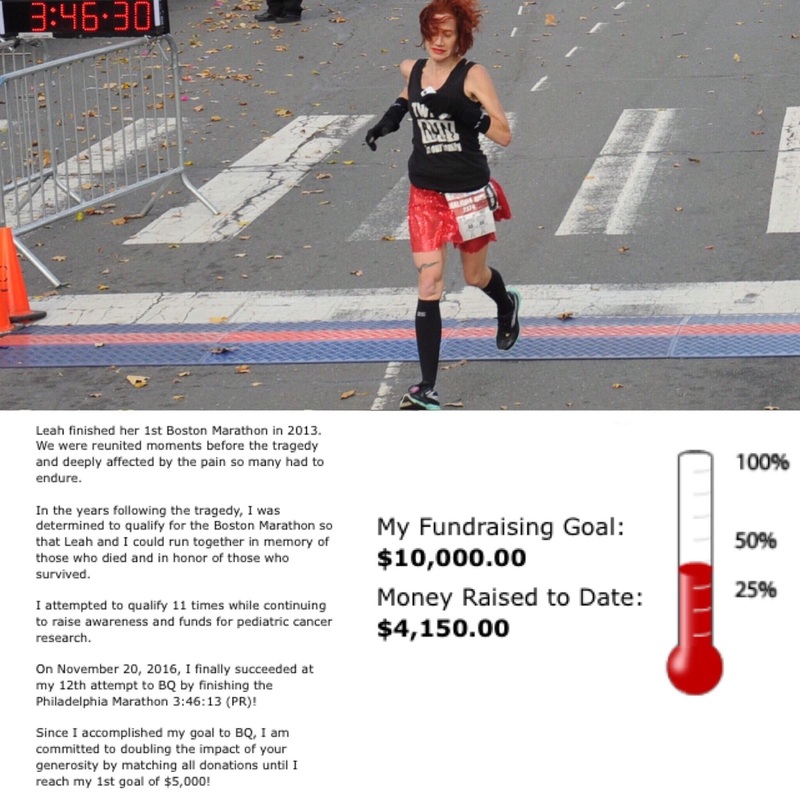 If you can, please consider donating $5 to Dana-Farber Cancer Institute. I will match all $5 donations to double the impact of your generosity. No donation is too small and 100% of every $1 funds cancer research. Thank you so very much for your support.